The study below is part of the collection of studies led by Dr. Robert Haley, one of Gulf War veterans' leading medical researcher champions. Haley's groundbreaking Gulf War Illness research was cancelled mid-stream by anti-veteran VA leadership and replaced with... the purchase of some new medical equipment and a massive GWI research budget cut. Today, VA remains without any clear direction not only in solving Gulf War Illness, but even in getting closer to developing effective GWI treatments. "...at the root of cognitive issues in GWI patients are profound working memory deficits that correlate with a unique brain change visible in the fMRI scanner. These results support an empirical link between exposure to neurotoxic chemicals, specifically sarin nerve gas, and cognitive deficits and neurobiological changes in the brain." Had the entire package of Haley's research been allowed to continue, perhaps we would be much closer not just to more revealing answers, but to real treatment as suggested by the study author above. 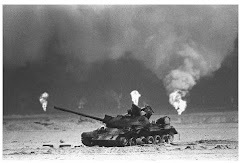 Gulf War veterans can only hope that one day there will be leadership at VA that is compassionate and cogent enough to fix what is currently very badly broken in environmental exposure treatment research. 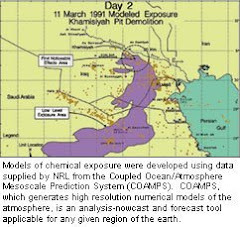 New research illuminates definitive brain alterations in troops with Gulf War Illness (GWI) thought to result from the exposure to neurotoxic chemicals, including sarin gas, during the first Persian Gulf War. “More than 250,000 troops, or approximately 25% of those deployed during the first Persian Gulf War, have been diagnosed with Gulf War Illness (GWI). Although medical professionals have recognized the chronic and often disabling illness for almost two decades, brain changes that uniquely identify GWI have been elusive until now,” explained researcher Bart Rypma, principal investigator at the Center for BrainHealth at The University of Texas at Dallas. This study, published in Clinical Psychological Science, a journal of the Association for Psychological Science, is novel in that it confirms GWI deficits in working memory, a critical cognitive function that enables short-term retention of information for higher-level thinking ability. In addition, brain alterations revealed in the study show a consistent pattern representing a neurobiological marker that could potentially be used to positively identify GWI. The research team assessed three aspects of working memory: accuracy, speed, and efficiency. Results showed that participants with GWI performed significantly slower and less accurately than matched healthy veterans, and their efficiency decreased with increasing task difficulty. During these difficult conditions, the participants showed relatively lower levels of activity in prefrontal brain regions which may compromise their ability to implement effective, higher-level thinking strategies in cognitively demanding situations. The new findings may also have implications for the treatment of several disorders involving similar neural systems, including one Alzheimer’s disease. The article abstract can be found online. Additional co-authors include: Joanna L. Hutchison and Michael A. Motes of The University of Texas at Dallas and The University of Texas Southwestern Medical Center; and Ehsan Shokri-Kojori, Ilana J. Bennett, and Ryan M. Brigante of The University of Texas at Dallas. This work was supported by the Friends of Brain Health research endowment (to N. A. Hubbard), the Department of Veterans Affairs (Grant VA549-P-0027 to R. W. Haley), and the National Institutes of Health (Grant 1R01AG029523 to B. Rypma). Clinical Psychological Science is APS's newest journal. For a copy of the article "Central Executive Dysfunction and Deferred Prefrontal Processing in Veterans With Gulf War Illness" and access to other Clinical Psychological Science research findings, please contact Anna Mikulak at 202-293-9300 oramikulak@psychologicalscience.org.